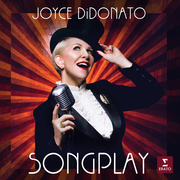 Joyce DiDonato's newest project, Songplay, is hard to squeeze into any particular box - as DiDonato muses, "it feels like we're still trying to define it a little bit." Broadly speaking, it is an album that takes classical songs like Rosa's "Tu lo sai" and Giordani's "Caro mio ben" and gives them a jazz treatment, creating something wholly fresh out of old baroque standards. At the same time, those standards are paired with songs like Duke Ellington's "In my solitude," Richard Rodgers's "With a song in my heart," and Gene Sheer's "Lean away," making for an album that is hard to define. And yet it works. What brings it all together, as ever, is Joyce DiDonato. It would be easy for something like Songplay to be gimmicky (opera singer does jazzy classical songs? Handle with care). But it's not! Instead, the album is a lovingly-crafted fusion of classical and jazz traditions that in a masterful stroke of artistry achieves a celebration of what is beautiful and tantalizing in both, and invites you to loosen your tie a little and simply enjoy. 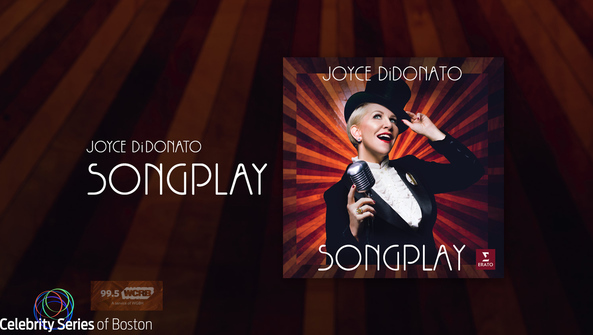 DiDonato performed Songplay at New England Conservatory's Jordan Hall on Friday March 1 at 8:00 PM as part of the Celebrity Series of Boston. To learn about upcoming events and performances by other artists, visit the Celebrity Series' website.